*** Vocalist Jimmy Ryan of Trenches GETS THROWN INTO THE CIRCLE PIT! Midnight Metal airs on Asgard Radio Sundays at 9pm central/10pm eastern (online or use the Asgard app). After it airs, it goes up on iTunes and SoundCloud for download! Matt Honeycutt of Kublai Khan GETS THROWN INTO THE CIRCLE PIT! Alekhine's Gun, WOVENWAR, Battlecross, Alethia, Lamb of God, Opeth, Hollow Like Me, Periphery, Currents, Silent Planet ...AND MORE! Killswitch Engage GETS THROWN INTO THE CIRCLE PIT! Kublai Khan, War Of Ages, Alethia, WOVENWAR, Lacuna Coil, ERRA, Periphery ...AND MORE! EPISODE 21 Alethia GETS THROWN INTO THE CIRCLE PIT! NEW Music by - We Came As Romans, Also music from: Upon A Burning Body, Parkway Drive, War Of Ages, Periphery, HOT DANG, August Burns Red, Invent Animate ...AND MORE! 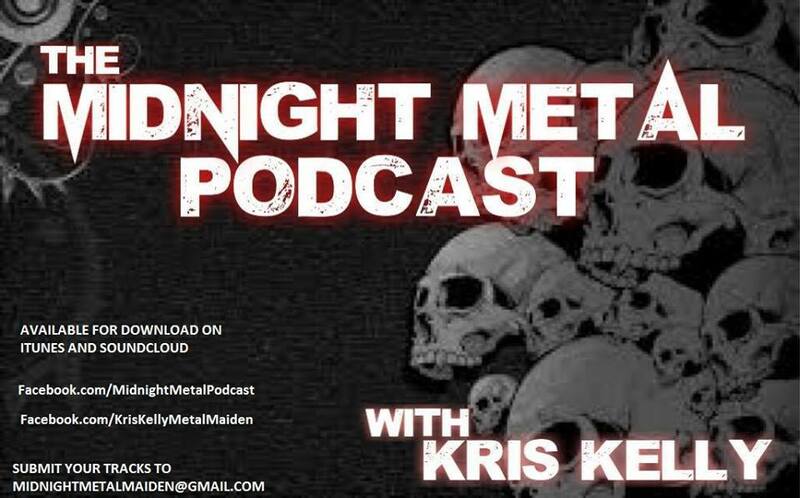 Midnight Metal Episode 19! Music from: Kublai Khan, Fire & Flesh, ONI, Unearth, Mastodon, Genotype, War Of Ages AND MORE! Listen HERE! Atreyu GETS THROWN INTO THE CIRCLE PIT!